Engineering is a broadly defined employment area that contains several individual specialties. Wide-ranging industries, like aerospace and manufacturing, draw from ranks of highly-trained engineers, who each focus on specialized technical disciplines. Electrical, computer, civil, mechanical and systems engineers are just a few of the individual professions calling for qualified staffers. Students pursuing engineering credentials, including those who major in manufacturing engineering, receive heavy doses of core curriculum subjects like science and mathematics. Within the manufacturing specialty, students gain understanding of modern manufacturing environments, including technology and production processes associated with all aspects of manufacturing. The job of a Manufacturing Engineer includes design, analysis and implementation of innovative systems and processes that streamline the production of materials and goods. Professionals are asked to consider manufacturing from a wide perspective – including financial, technical, and labor related aspects of operation. Financial aid for engineers comes from industry associations, private philanthropists, and from individual campus programs designed to support the efforts of enrolled students. Caterpillar Scholars Awards are offered to high school seniors enrolling in manufacturing engineering majors at four-year colleges. Preference for winning the awards is given to minority students with proven academic talent. Phoenix Scholarships go to students pursuing manufacturing engineering degrees at Arizona colleges and universities. E. Wayne Kay Community College Scholarships are available to manufacturing engineering students attending two-year community college programs. Eligible applicants must maintain at least a 3.0 GPA to be considered. High school students who already are engaged in manufacturing engineering activities, and are members of the Junior Engineering Technical Society (JETS), have access to industry-related activities, and they also are eligible for scholarships. The Next Generation Scholarship Fund is designed to attract graduating high school students with superior academic abilities, especially those exhibiting aptitude for engineering. The College of Engineering and Architecture at the University of North Dakota offers scholarships for students in the Industrial and Manufacturing Engineering program. Most of the departmental scholarships are available to upper level and graduate students, including the Helgason Scholarship. Incoming students must apply for general academic or financial scholarships through the University’sFinancial Aid Department. Wayne State University offers student scholarships through the department of Industrial and Manufacturing Engineering. Qualified applicants submit essays outlining their career goals, as well as letters of recommendation from faculty. 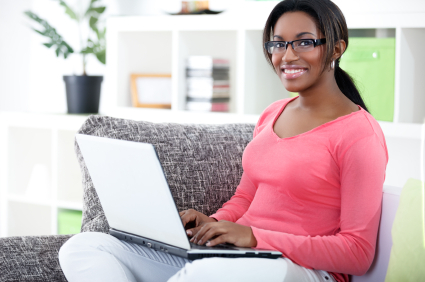 A professional resume is also recommended for students seeking scholarships. Finalists for the awards are subject to individual interviews. Qualified applicants compete for nearly one-dozen scholarships annually, sponsored by the College of Science, Technology, Engineering and Mathematics at the University of Wisconsin-Stout. Math Foundation Scholarships are awarded to new and transfer students who are at the top of their classes academically. Up to $6,000 can be earned by each winner. An upper-level manufacturing engineering student, with an internship already under his or her bel,t may qualify for the John Entorf Scholarship annually. Awards are valued up to $2,000 each. 3M Wisconsin Community Affairs Council Scholarships are specifically designed for students in at least their junior year of the ME program. Awards are worth $1,000 each. The Society of Women Engineers (SWE) awards over 100 scholarships annually, to deserving female students pursuing degrees in accredited engineering programs. Successful applicants are undergraduate and graduate students. The National Society of Black Engineers (NSBE) offers dozens of scholarships funded by generous corporate sponsors like ExxonMobil, Delta Airlines and Northrop Grumman. In most cases, applicants must demonstrate above-average academic talents in the major. The American Indian Science and Engineering Society sponsors scholarships for students majoring in engineering specialties, including manufacturing engineering. Successful applicants must be willing to submit a Certificate of Indian Blood, along with other specified materials.